Yesterday, the kids and I had a chocolate chip cookie break with our favorite tree, "Steve". He resides at our local riparian area, and is approximately 130 years old. 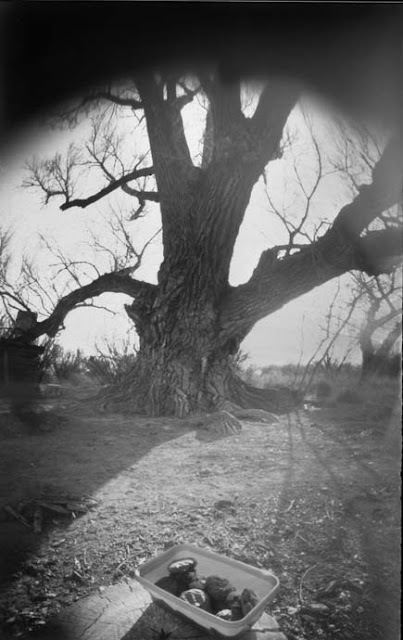 He is a Fremont cottonwood tree, which is quite common here, near any source of reliable water. My kids have grown up playing around Steve, and climbing into his mighty branches with a few dear friends, who also appreciate Steve's gentle giant presence. We gave him the name, "Steve", after reading this book together when they were young. Like the story in the book, Steve is getting old; some of his huge branches have come crashing down over the years, and he doesn't look as grandiose as he did 10-15 years ago. In the meantime, we appreciate Steve , and are thankful for his presence in our lives.